The Maldives is on most people’s bucket list of travel destinations. 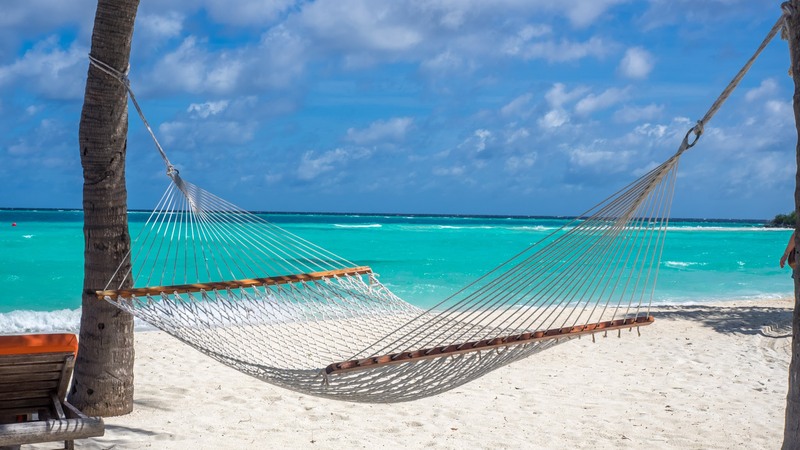 We usually associate it with a romantic honeymoon, anniversary or escape, but Club Med is aiming to change that by specialising in all-inclusive family holidays … and it is awesome! 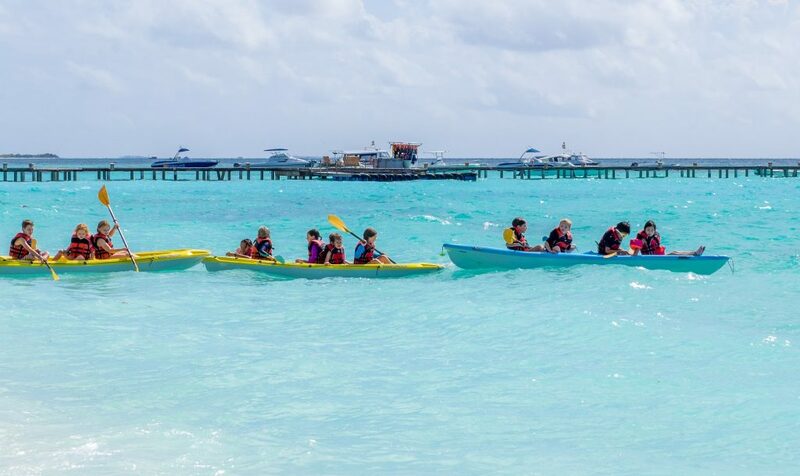 We were super lucky to travel to The Maldives with Club Med and Scoot to see the transformation unfolding and to explore the family friendly resort for ourselves. 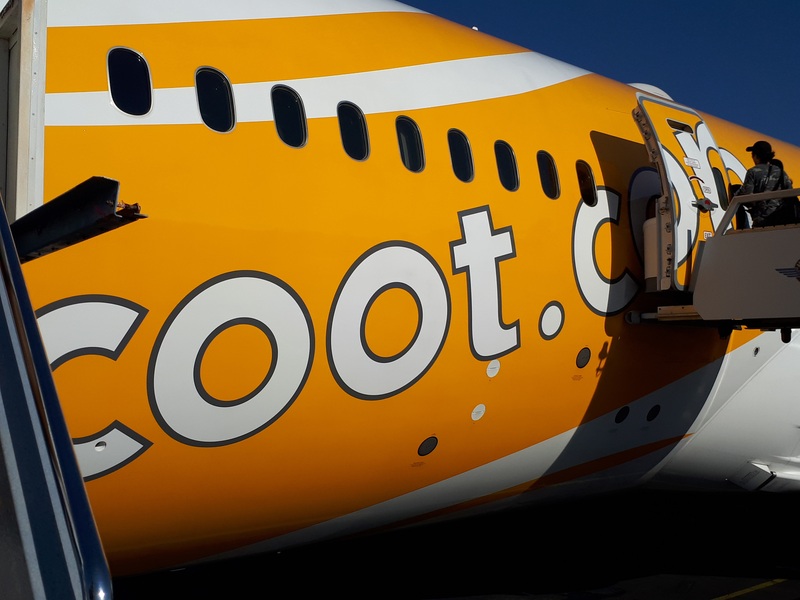 Here is what we found …..
Scoot are an airline that we have spoken about before … flying out of Australia for a few years now, they are the budget line owned and operated by Singapore Airlines. Their fleet of planes is very modern and growing fast with over 60 destinations already operating and more being added all the time. 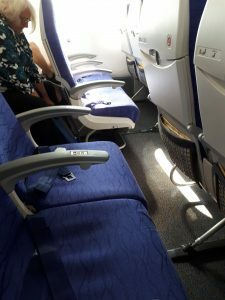 Being a budget airline you can get some really great prices and you only pay for what you need which is excellent for families. Our flight left from the Gold Coast and so we were able to drive and park in at the airport for around $120/week. 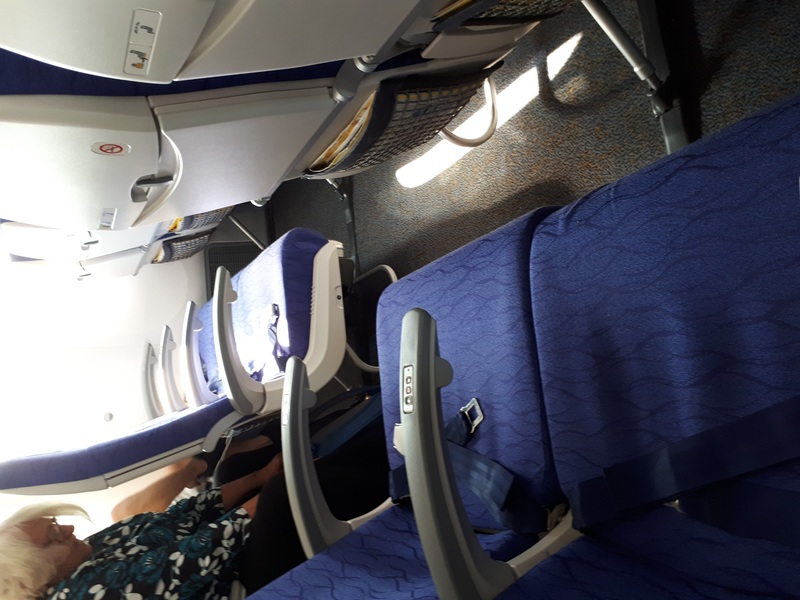 The plane itself was really comfortable with great service, meals and snack available on the flight and onboard wifi. We changed planes in Singapore (all Scoot routes go via Singapore) and then it was around 4 hours to Mali which is the capital of The Maldives. The airport is basic but nice and after a short run through customs we found the Club Med resort desk and identified ourselves. The airport is built right next to the water where a boat was waiting to take us around 30 minutes to our island – Club Med Kani. 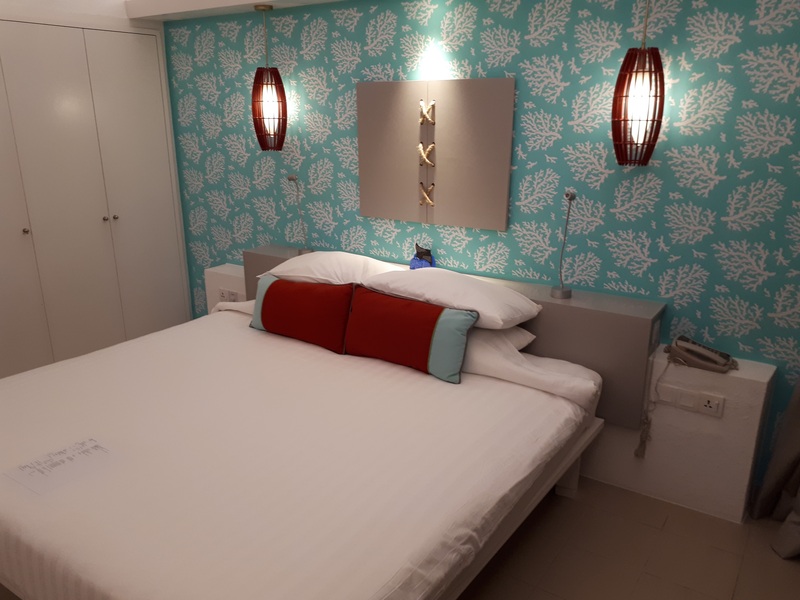 We were welcomed at reception by the super friendly staff and shown to our rooms where we crashed in comfort. The next day I awoke early and immediately went for a walk around the island to orientate myself and to take a few snapshots. Breakfast began at 7:30am and it was a huge buffet style with an omlette bar and a range of fresh fruits, meats, cheeses as well as Japanese, Chinese and Indian counters. Plenty of the usual juices and beverages had us full and ready to go for a resort tour. Now I admit that before this trip I had often heard of Club Med but didn’t really understand anything about the concept. Their defining style is ‘All-inclusive’ which means that once you pay for your holiday, it is entirely possible to check out with a zero balance on your account. All food, drinks and activities are included so unless you want to buy something from the boutique or enagage a 3rd party company for a joy-flight, you don;t need to pay for anything. That includes the restaurants both buffet and specialist as well as all of the bars. I jokingly likened it to a land-cruise (but with the drinks packjage included for everyone). The other important and awesome idea is that al lof the holidays are priced per person … not per room. That is great for families especially if you have an odd number of people. Kids are charged at a percentage of the adult rate depending on age bracket. In other words, once you pay for the holiday, the reort worries about whether you need 1 room, 2 interconnecting rooms, a suite etc … I love this idea! Each resort is different and Club Med have everything from tropical resorts to many snow chalet resorts across the world. In the Maldives we spent plenty of time relaxing on the pristine coral sand breaches and if I’m honest, just taking in the amazing colours of the water and sky. It really is a paradise. 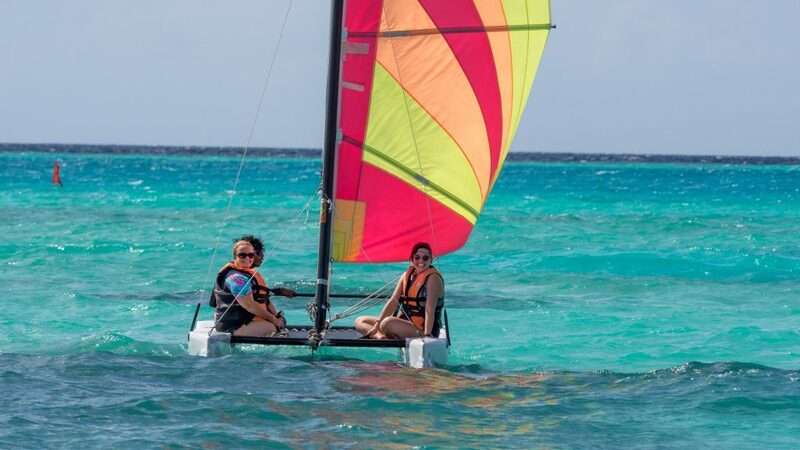 We also found time to use the free kayaks and catamarans with free lessons and guided sails. Several of our group had never sailed and the wind was great so they certainly got a great introduction in the safe lagoon. At 10am and 2:30 each day the team ran snorkelling tours which of course are all included. You just turn up and they get you to do a quick swimming test the first day, give you an appropriate life-vest (floating or not depending on whether you can swim well) and all of your gear including fins, mask and snorkel. Then they take you out in a large boat to 1 of 20 or so spots depending on the conditions. We saw families with children as young as about 12 all out together and it felt very safe. On our 3 trips we managed to see all sorts of marine life from turtles, reef sharks, sting rays and all kinds of tropical fish … even a few clown fish (think Nemo!). Yes! Club Med Kani are transforming into a family resort and so they have already added the daytime hours kids club … we saw them in their kids centre, out kayaking and also doing a role play treasure hunt which looked like a lot of fun. Parents can get some time out to get active or just chill on the beach knowing that the kids are happy and safe with the staff. Staff taking a group of children kayaking with all the safety in place. Obviously you may want to hang with the kids and we saw lots of parents playing in the pool, snorkelling or enjoying the night entertainment and theme dinners with their kids too. It just means that there are options for whatever you need. There is a daily activities program running and you can get all the details of what is on on a village noticeboard for the week. The food too had lots of kid friendly variety which is always an issue for families. I saw fish & chips, burger and pizza options as well as lots of fruit and yoghurt. 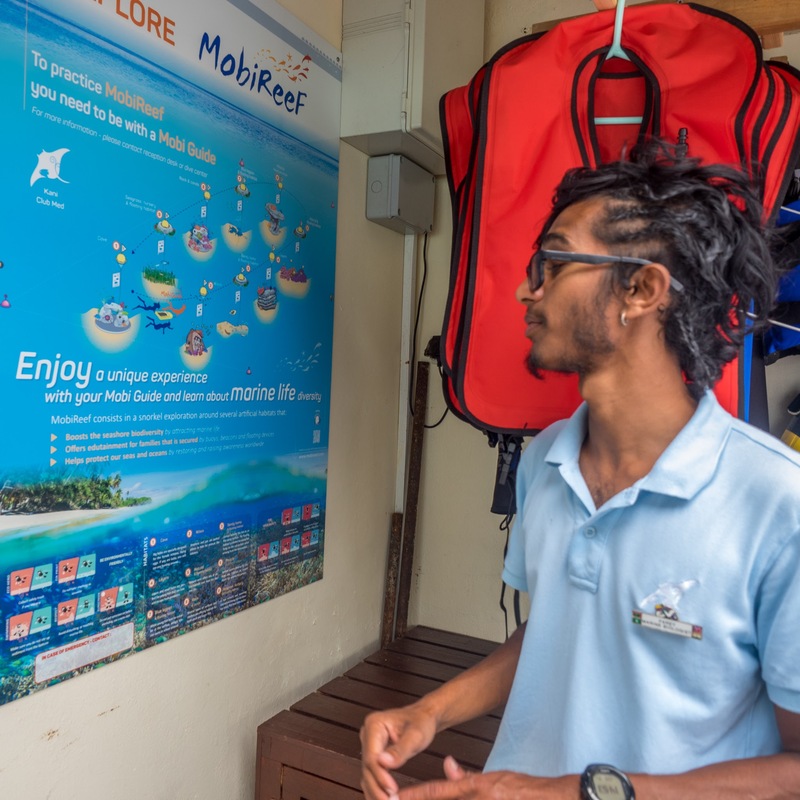 At Club Med Kani the staff have also started offering education for visitors to both learn about and help restore the coral reef. 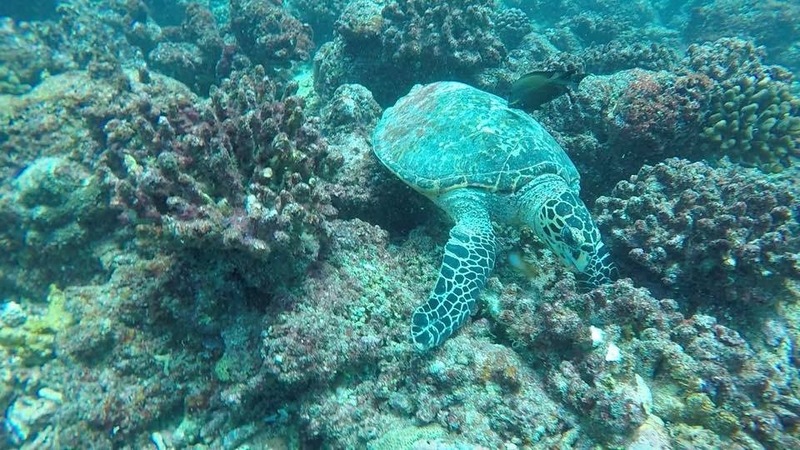 There are daily snorkels in a protected area with a marine biologist where you aren’t just looking but also hearing about the various habitats on the reef and the animals that it supports. 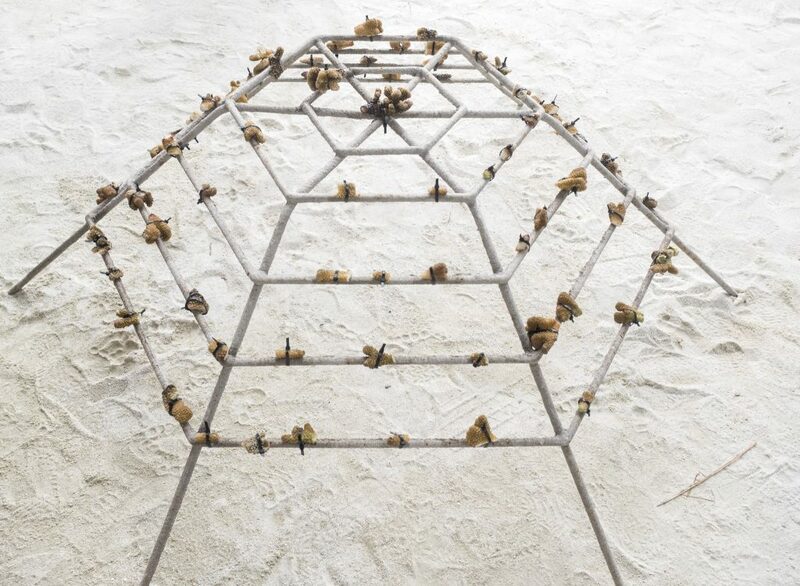 We were lucky enough to participate also in a program to build new coral communities around the resort. Basically you attach living corals from a healthy part of the reef onto a specially prepared metal frame and then it is located in a protected spot to grow. Every 6 months you can get an update photo of your installation and monitor how it is developing. Other visitors can also then view it and learn and the cycle continues. We had such an amazing time in The Maldives and learning about Club Med in general. I was pleasantly surprised by just how relaxing their all-inclusive style is and that it created a really happy holiday. My family would definitely love this place and I am now keen to bring them back and also check out the snow resorts. 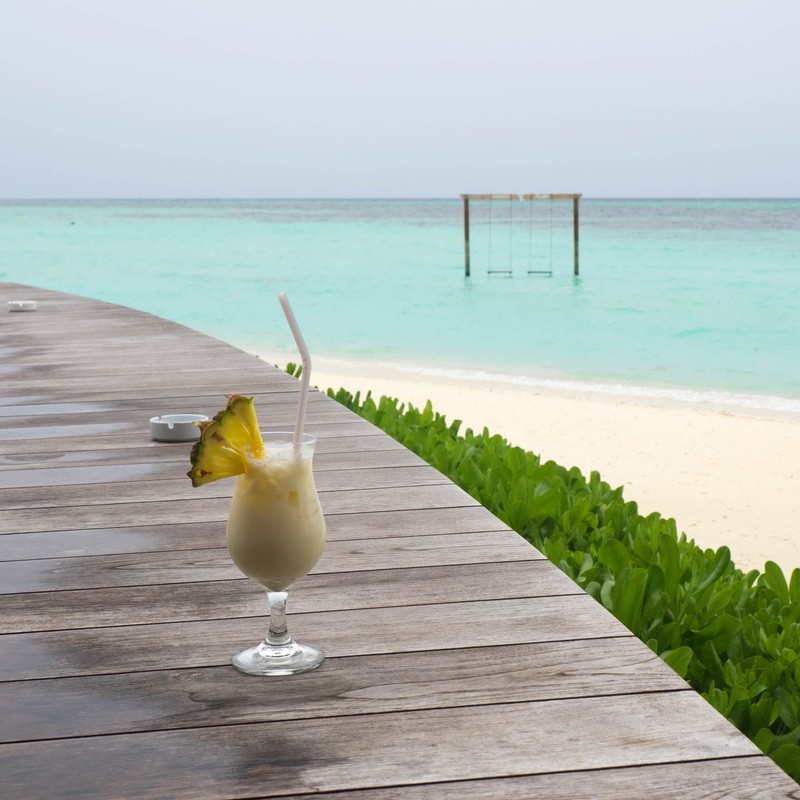 Pricing varies greatly from resort to resort and there are regular sales depending on the seasons and how international holidays fall so once you have a place in mind, keep an eye out for the peak and quieter times. 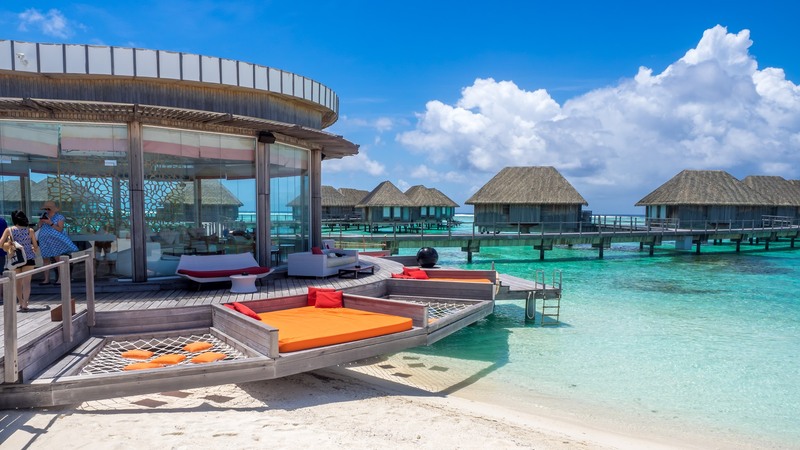 May for example can be a good time to get well priced holidays at Club Med in The Maldives. 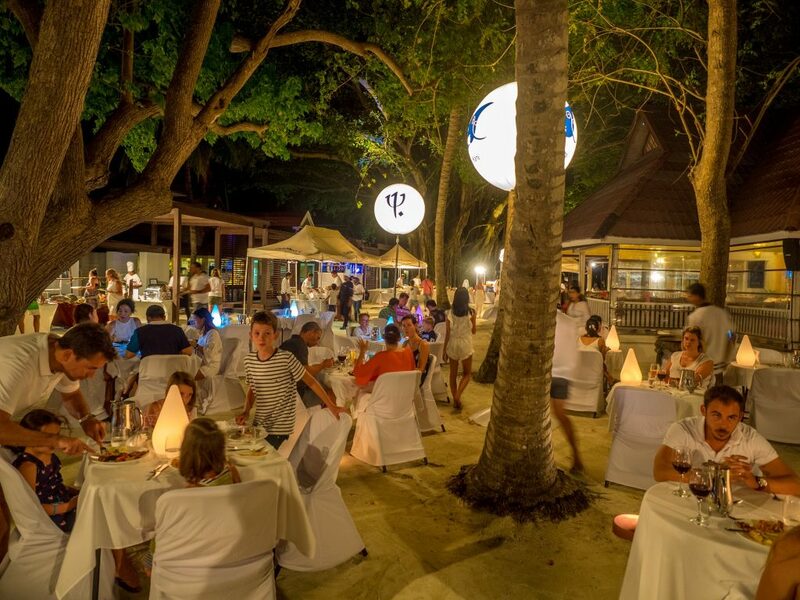 For more information, check out Club Med in Australia or speak to your favourite travel agent.